So, here is the update on the house. We had a pipe bust in our kitchen ceiling. Yes...I said ceiling!!! 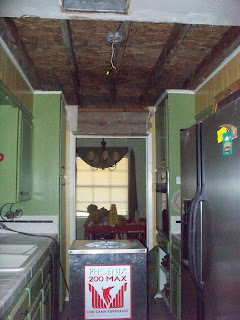 Our ceiling caved in, and water seeped to every room in our house except for the master bath. We had to replace all the flooring and a few walls. It was a crazy summer, working nonstop...but I can honestly say it has turned out to be such a blessing! God is so creative! 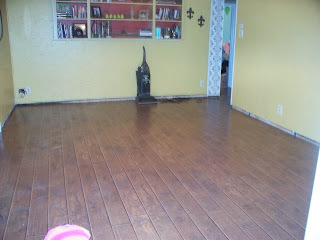 We needed (and I really wanted) new floors, and now we have them! We have worked on every house we've lived in, but this is now my favorite. It is definitely still a work in progress, but I'm the most proud of this house. 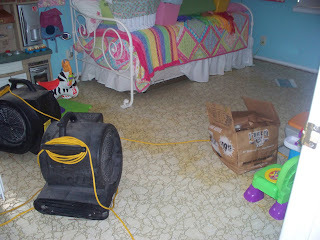 Reason #1-I really hated this house when we first moved in. I really struggled with contentment when we first moved to Midland. I hated our house, and felt really trapped because I knew no one and stayed in my house all the time...lots of time to ponder all the things I wanted to do (but couldn't). I have worked hard to find cheap and creative ways to improve, and have learned some new things along the way. I even made my own Roman shades! Now I am really happy with where we are, and have learned to be content with what we have/haven't gotten finished. Reason #2-This is our first home away from Amarillo and parents....hence, the first home we have really done on our own. 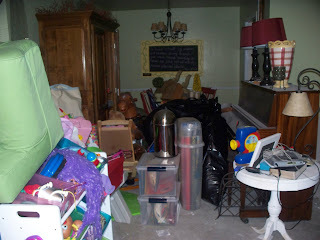 I am so grateful for the past two homes, and for all the help we had with them. But this home holds a special place because we've done it all on our own. I feel like a grownup!! And I must give kudos to my awesome hubby! He worked his cute little booty off this summer, and went right into football season with no rest! He has done some amazing work and been very patient with me in the process (despite a very difficult tile choice on my part!) 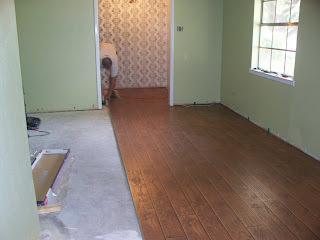 He has done it all-ripped up old (possibly Asbestos-infested) floors, painted, laid laminate floors, installed an R.O. 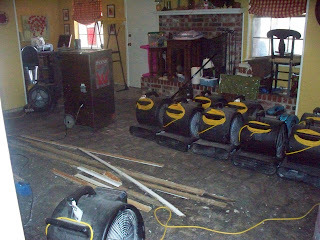 system, laid tile floors, installed baseboards, installed new toilets...the list goes on and on. I love Randon's work ethic, and how hard he works to take care of his girls! I love that he is a "man's man." He's not afraid to take on a new project, and he really likes to do things on his own. It makes me one proud Momma! I love you Babe!! Don't you just love the old (tile?) floors?!?! You guys are amazing!! The house is beautiful and you both deserve all the credit:) I can't wait to see it in person someday:) Bless you, friend! The new stuff looks great though! I found your blog through Emily Sims and have loved reading how you are doing and seeing pictures of your sweet baby girls. I hope that you don't mind me stopping in. We are doing really well. We moved to Florida a little over a month ago for a church job. We're adjusting and trying to get settled in. I could relate to your blog about how it was when you first moved to Midland. I feel like I am just stuck in the house with no life and pondering all that I want in a house...since we are just renting right now. :) But this is really a great place and Jay loves his job at the church. Jennifer! This is insane! I'm so inspired by you and your house and yourself! I know things have been pretty hectic for both of us, but I would love to spend an hour with you on the phone sometime. Let's make it happen!! !